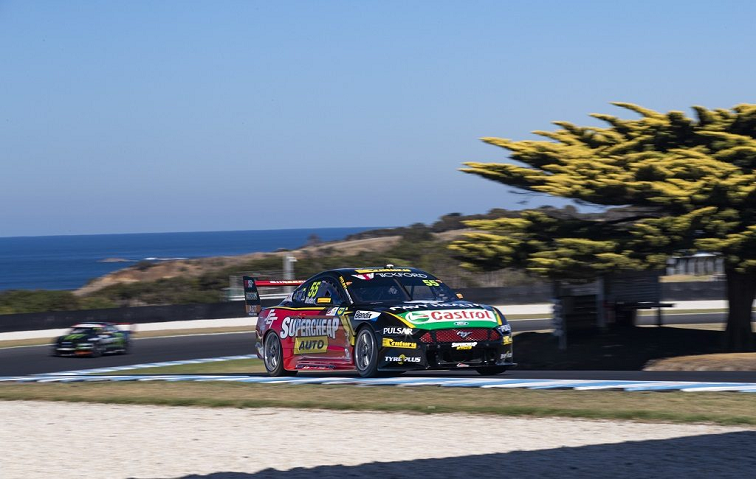 With the dust still settling from the Tasmania round a week later we find the Tickford Team at Phillip Island for the WD-40 SuperSprint which makes up the fourth round of the Supercars Championship. Races 9 and 10 will follow the same format as last week with a Friday Practice leading into a knock out qualifying for both Saturday and Sundays races. It was decent start to the weekend for Chaz in the No.55 Mustang with a P7 in Practice 1 posting a time of 1m31.81s and P9 for Practice 2. 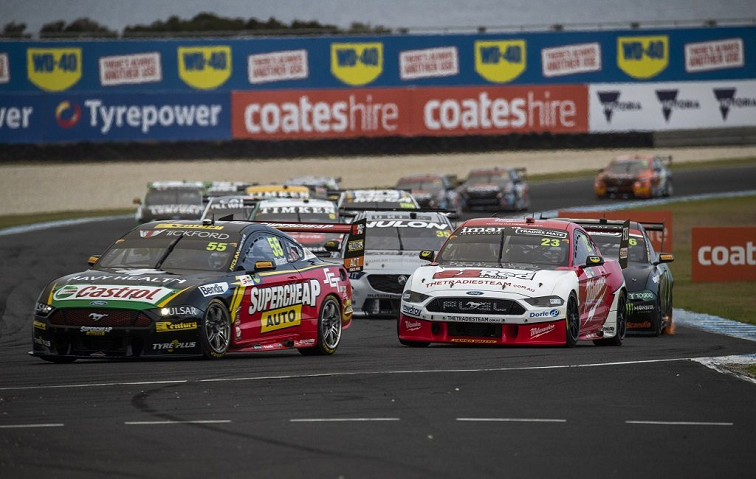 The result means the Supercheap Auto Racing Mustang would receive a bye from the first round of knockout qualifying on the Saturday taking some of the pressure off the team. Chaz wasn’t feeling comfortable despite a decent result and had some thoughts about the car “A bit of a messy day for us, but look we’re happy to get in the ten for Practice 2, that helps for tyres this weekend. I kind of need to understand the car a little bit more“. A good start to Saturday for the No.55 saw Chaz post the 6th fast time in morning warm up with 01:30.56s lap and he then went on to improve that form in qualifying posting a time of 01:30.10s and securing 3rd place on the grid. Pretty good start to the weekend but no one could touch the DJR Penske Mustangs who were almost a second faster. 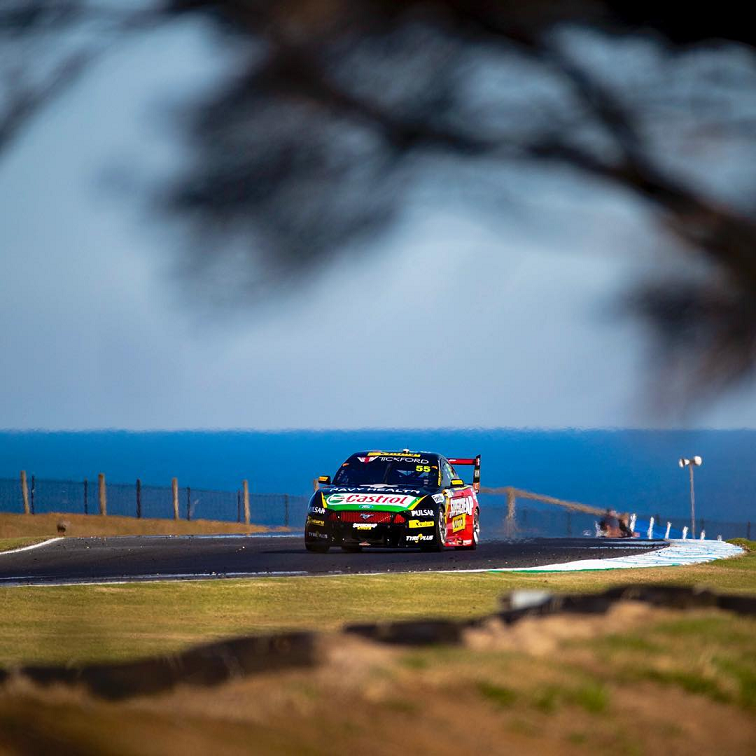 The Sunday qualifying again saw Chaz the best of the Tickford Mustangs scorching around the Phillip Island circuit with a 01:30.28s lap placing him P3 for the 45 lap sprint race. Chaz again struggled with his start being jumped by Anton DePasqale and his two Tickford team mates heading into turn 2. With a two week break between rounds the teams must make the long journey across to Barbagallo Raceway for the Pirtex Perth Super Night which will see the teams race into the evening under lights. Our man Chaz and the No.55 Supercheap Auto Racing Mustang supported by Bendix will be looking to improve on his third place in the championship so stay tuned!